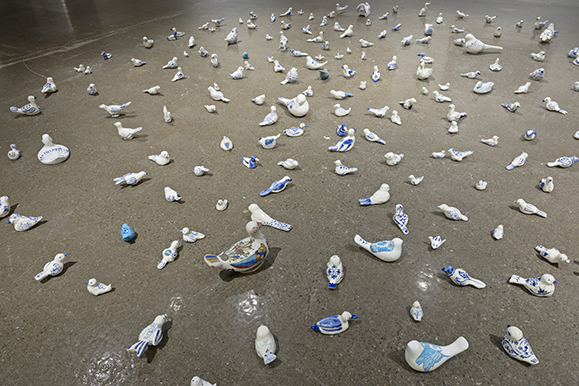 This installation represents movement of culture through objects that are brought over to another culture either by immigrants or tourists. 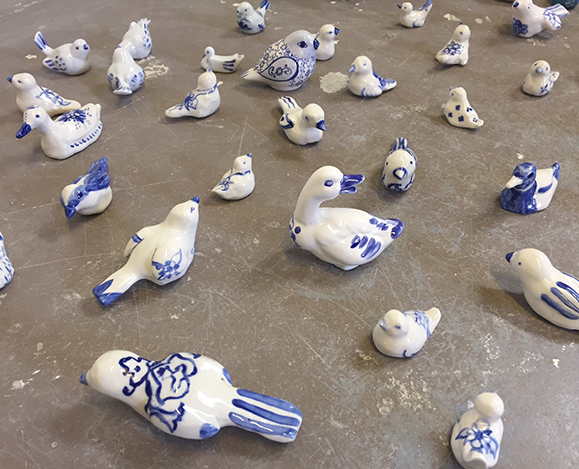 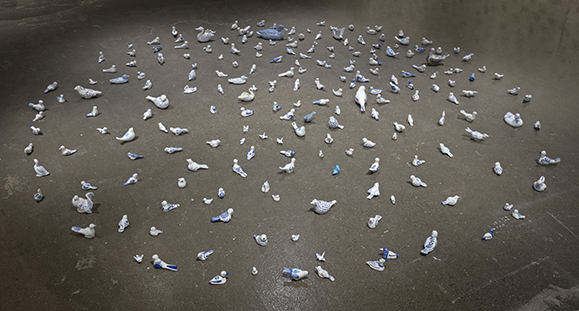 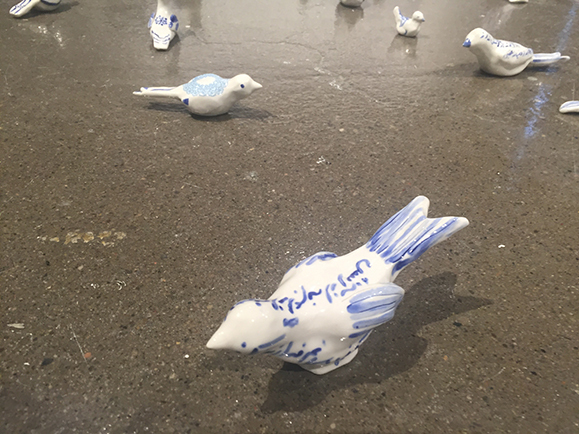 The birds are a collection of hand made porcelain birds decorated in culturally specific designs as well as found blue & white porcelain birds that Esfahani has collected through her travels in souvenir shops, flea markets, etc. 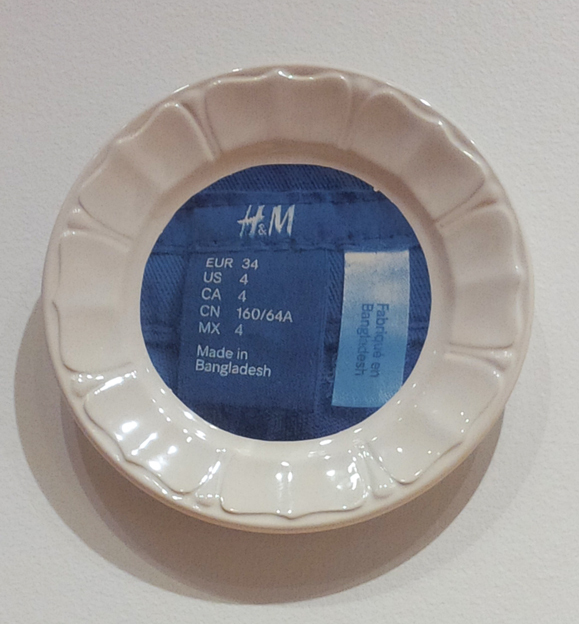 Through re-contextualizing these objects as artworks, She question dissemination and reinsertion of culture. 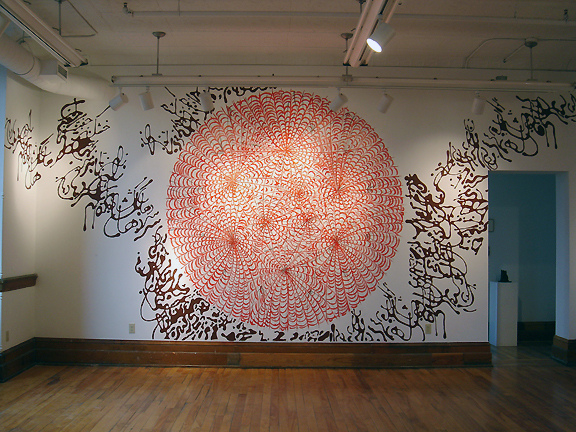 In The Immigrants: Homage to F.H. 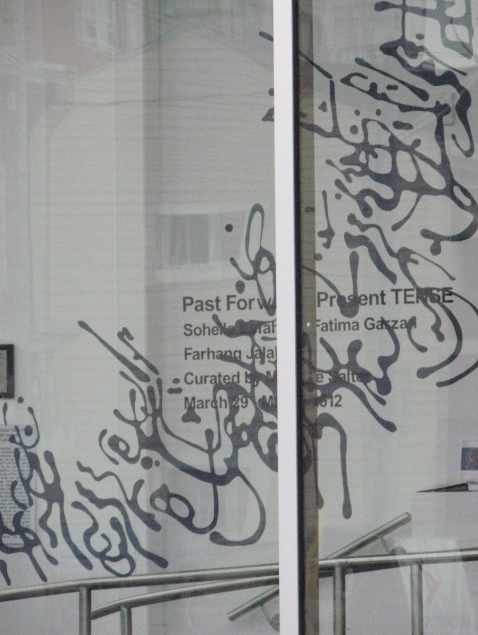 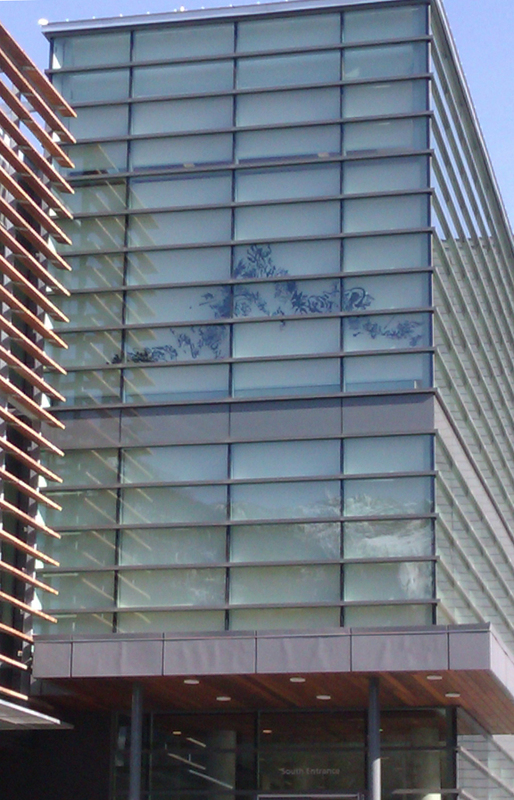 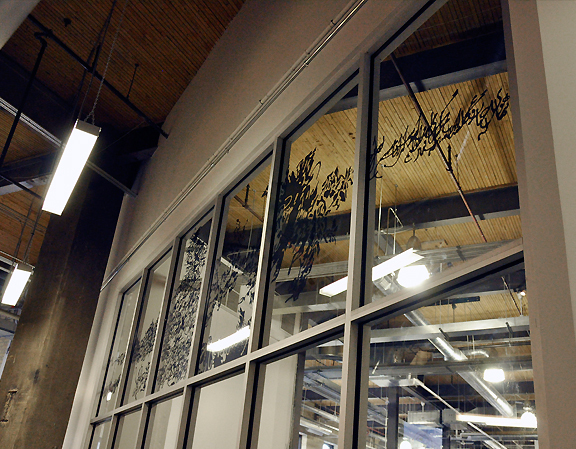 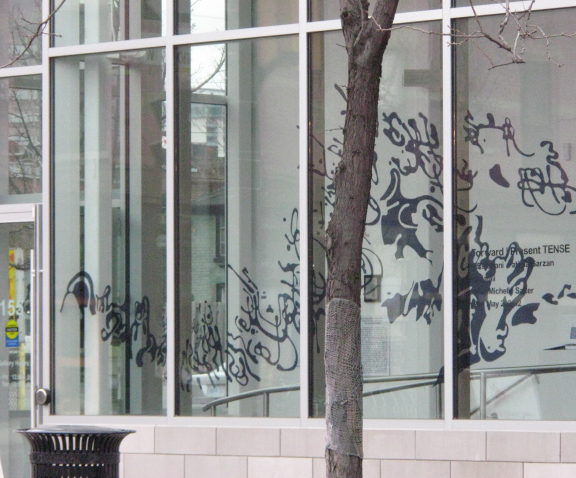 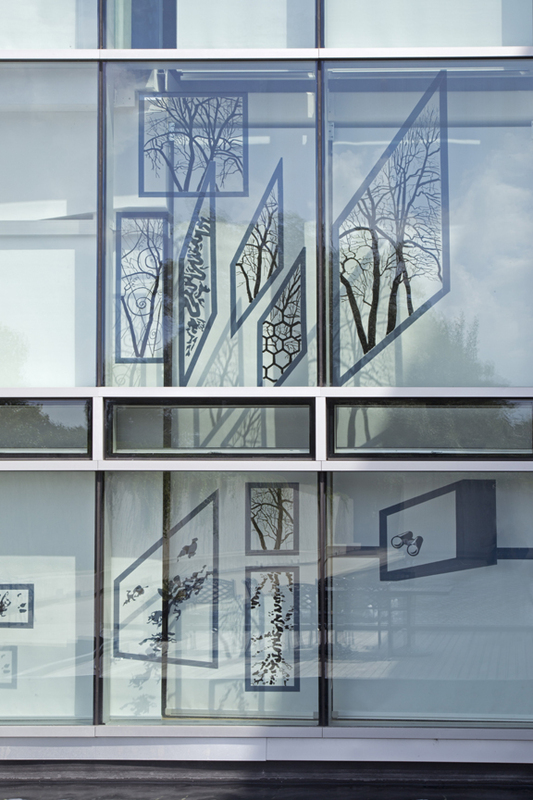 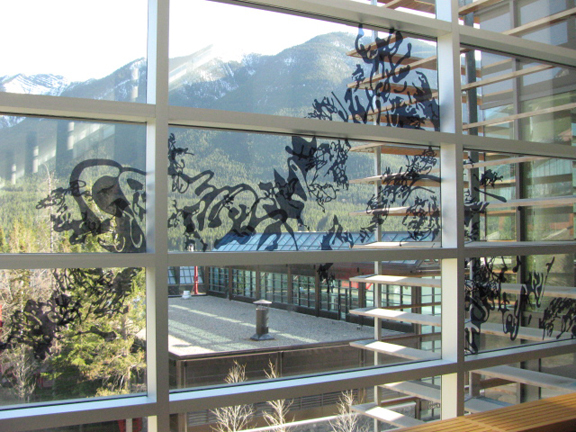 Varley, Esfahani investigates the processes involved in cultural transfer and the notion of “portable culture.” The installation is based on a painting by Varley which depicts groups of new immigrants arriving in Canada. 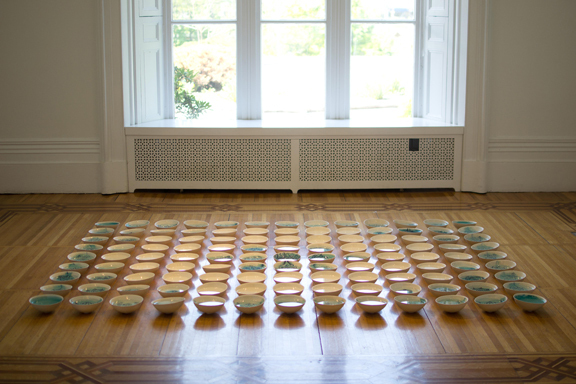 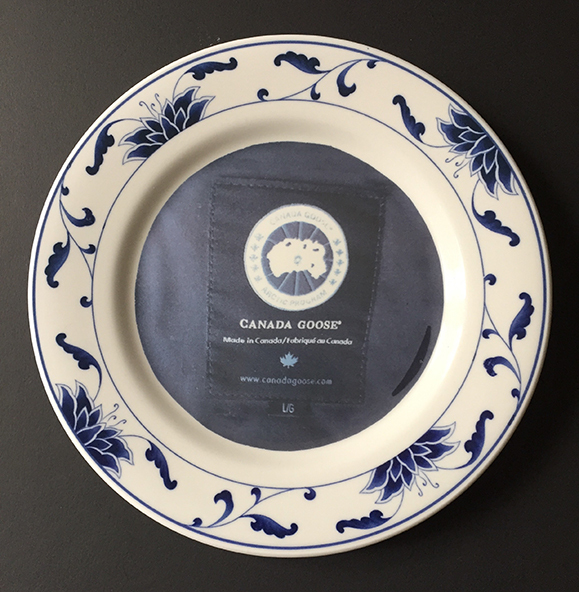 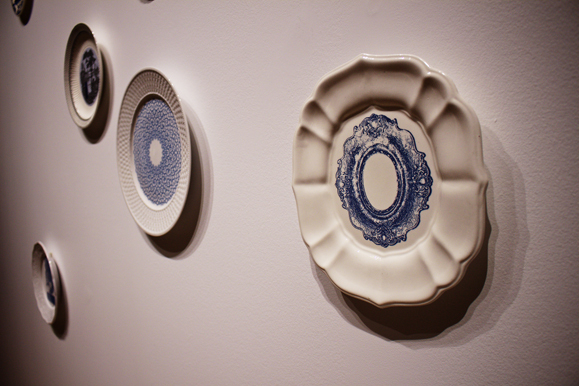 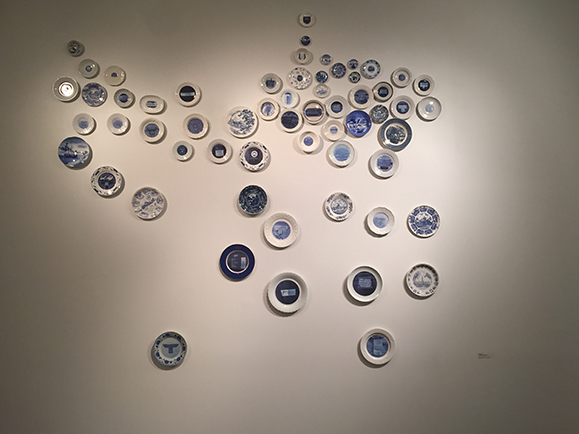 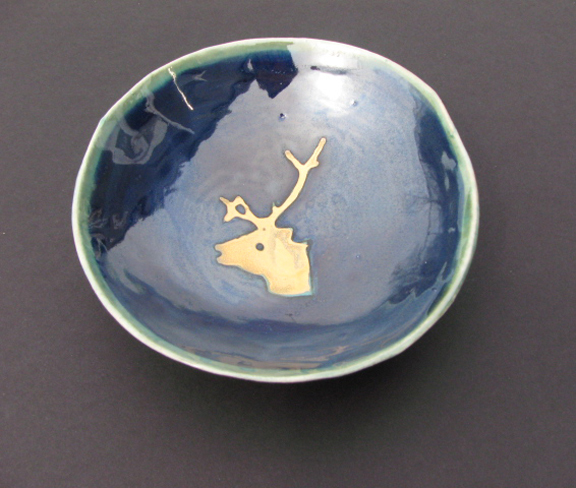 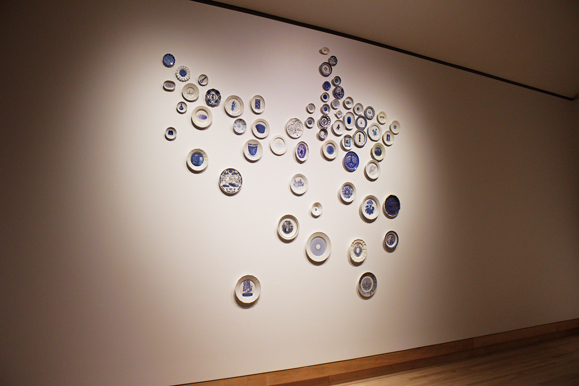 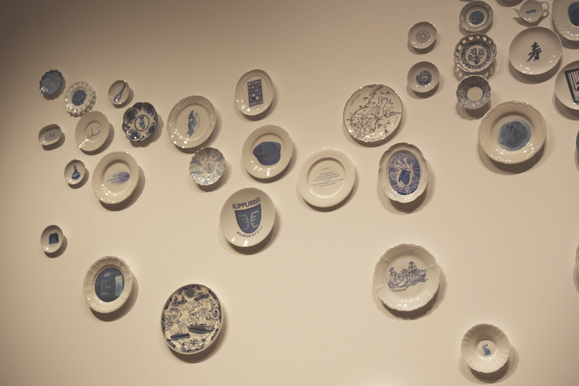 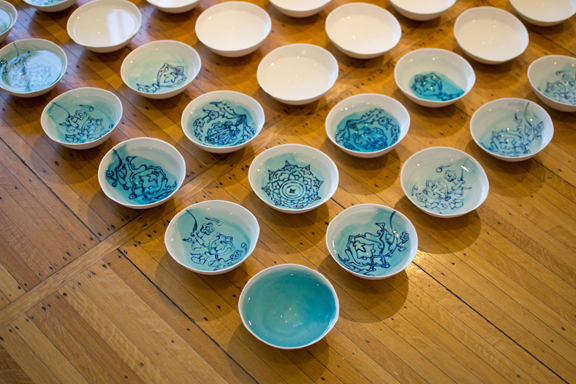 Each plate in this installation represents a specific culture. 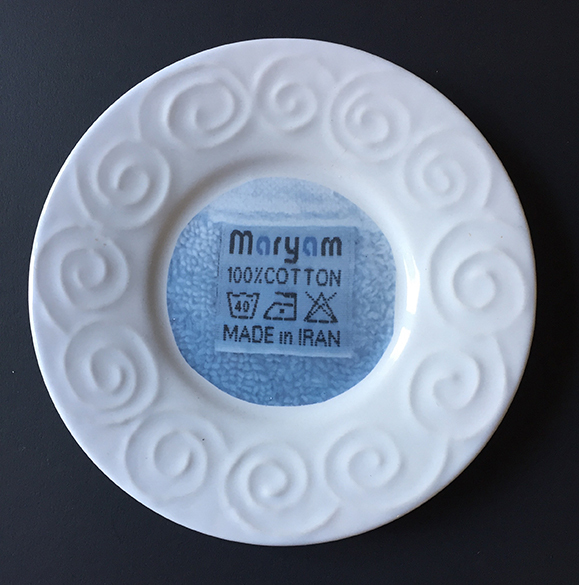 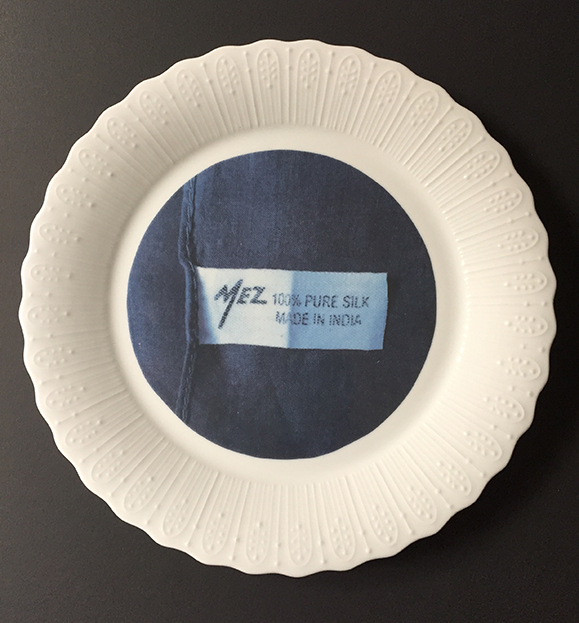 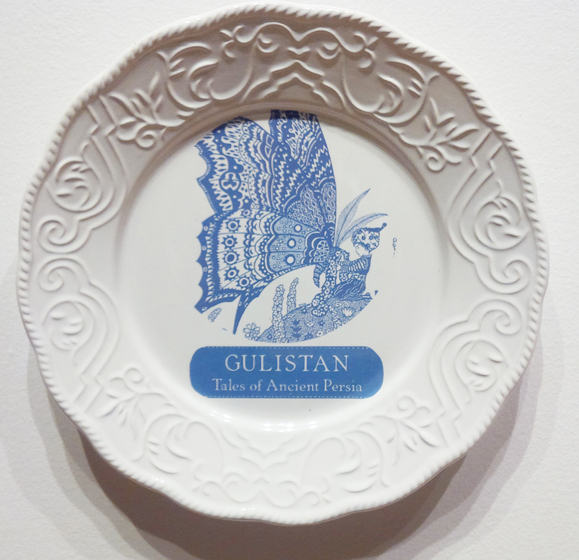 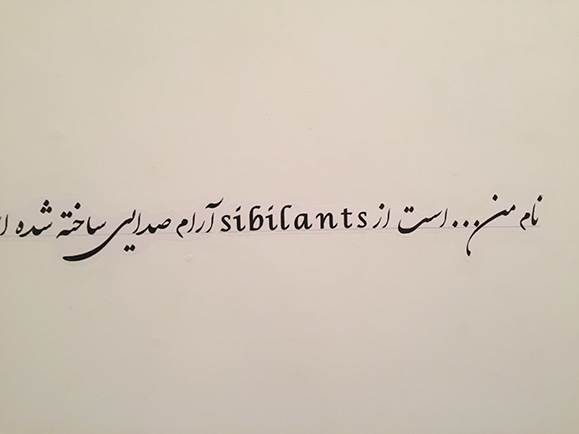 The collection of images on plates are based on the response of selected group of people to Esfahani’s question of “what is your culture?” and asking them to provide an image that represents their culture. 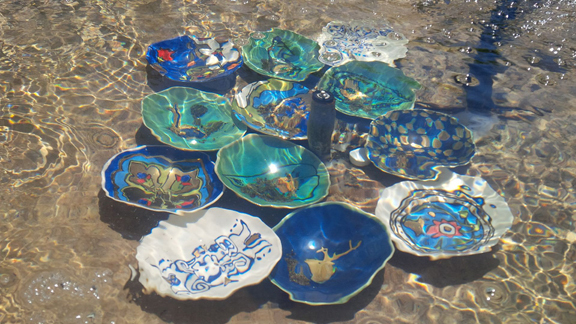 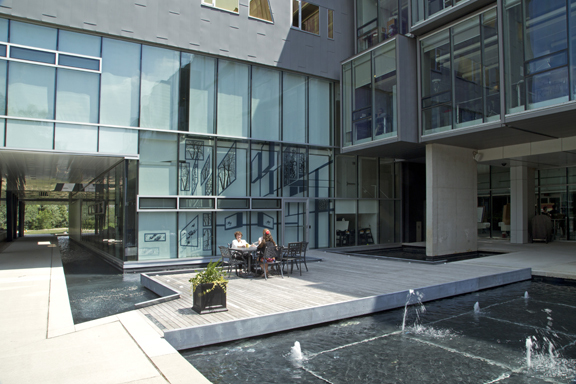 Wish on Water focuses on cultural practices around water. 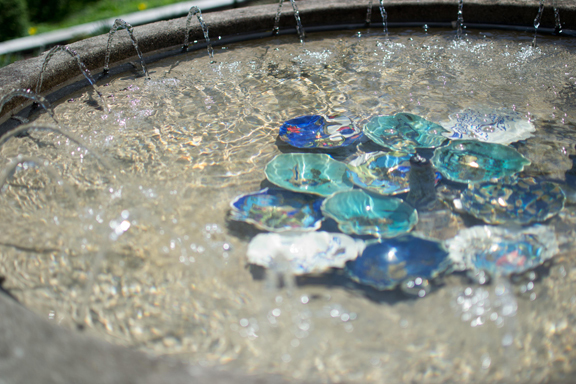 It draws a comparison between the tradition of wishing on water in Sagha Khaneh and various traditions of wishing on water around the world from wishing wells to tossing coins in the water features of shopping malls. 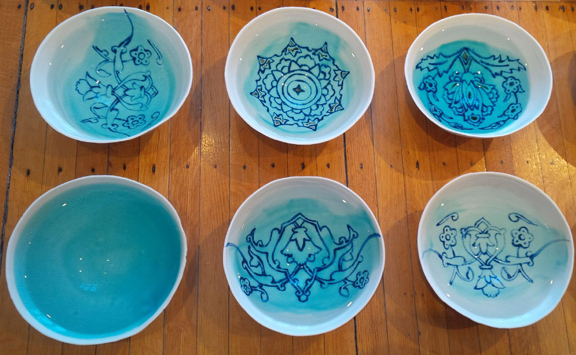 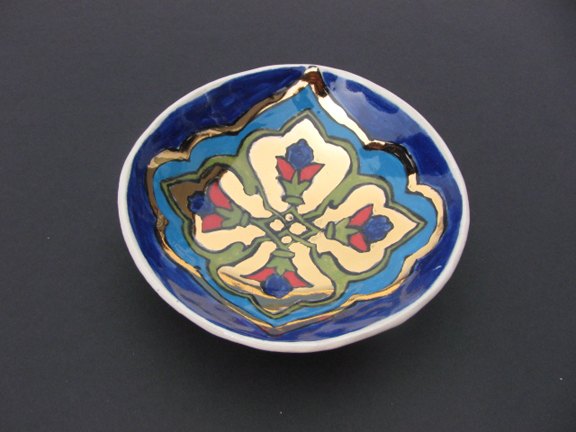 The drinking bowl refers to cultural practice of providing drinking water to travelers in Iran and other Middle Eastern countries. 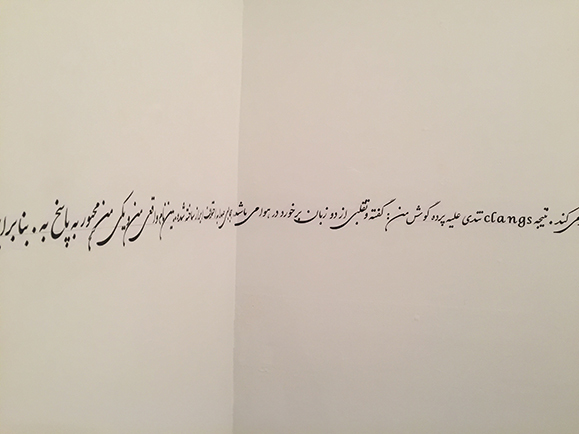 Sagha Khaneh (meaning house of water-carrier/provider) provided drinking water to travelers and passer bys in Iran for centuries. 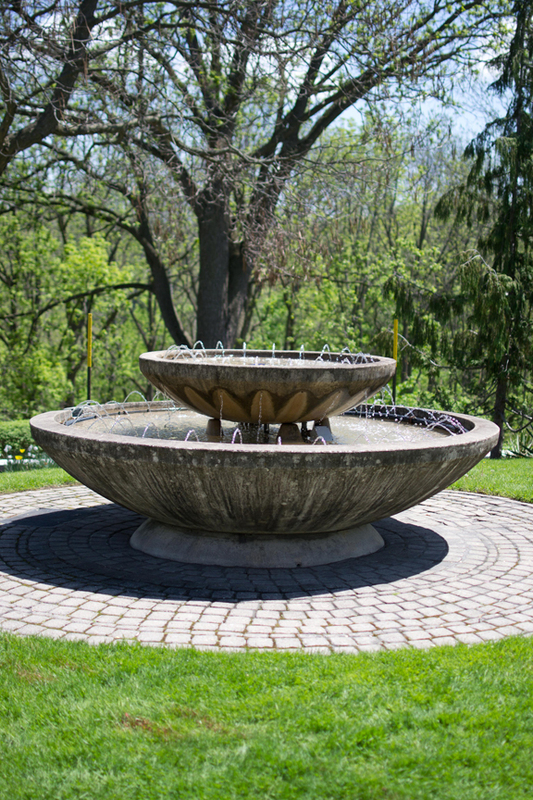 These water stations were commonly built close to natural springs by travel routes. 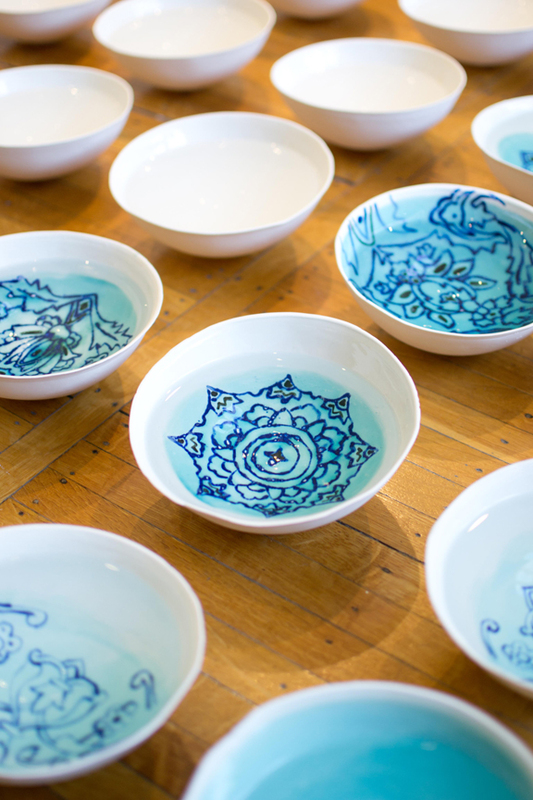 The thirsty traveler would receive a drink of water traditionally in a bowl. 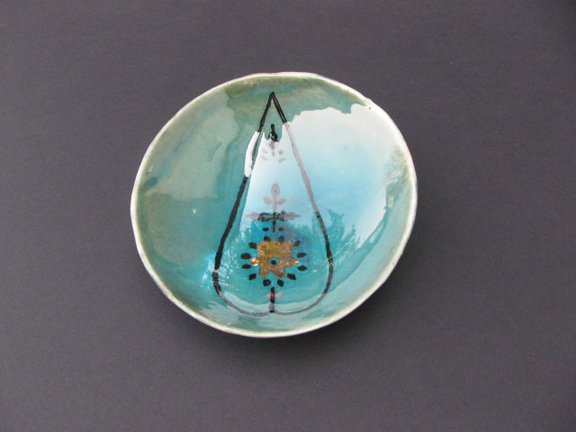 In return travelers would say a prayer, light a candle or donate money in hopes of realization of a wish. 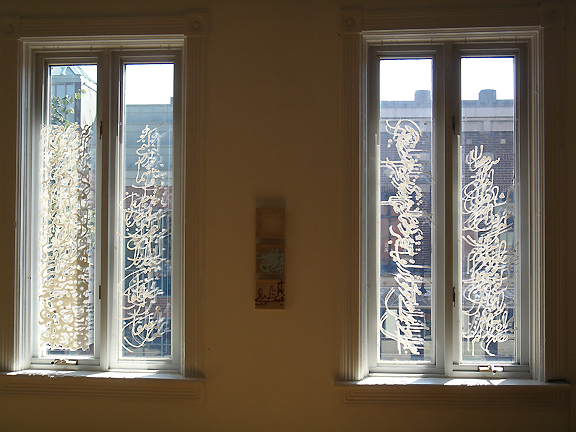 12/10/12 is a response to Esfahani’s experience of living in two cultures for equal number of years. 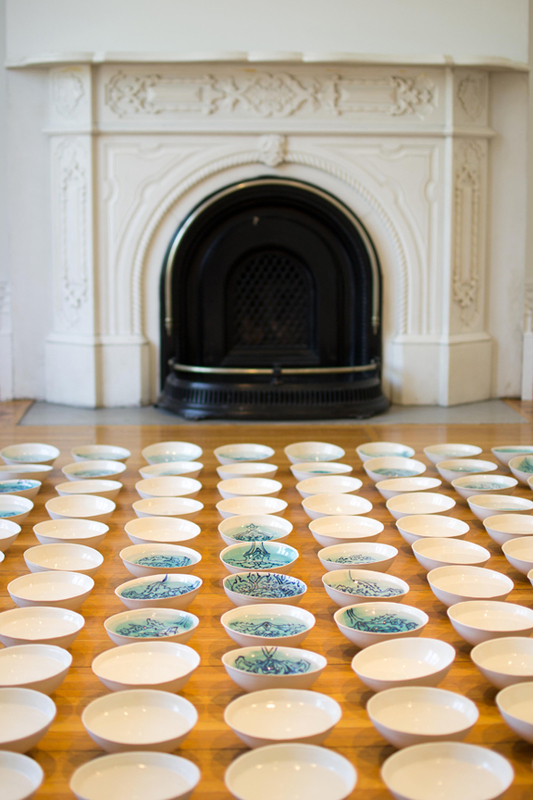 Her installation attempt to question the notion of belonging to an ‘originary’ or ‘original’ culture whether Eastern or Western in order to open up a space of negotiation. 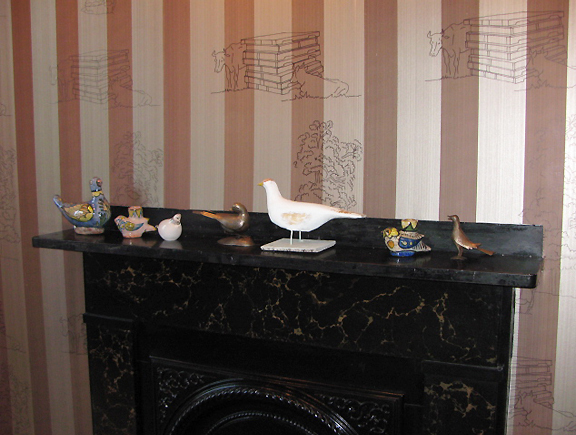 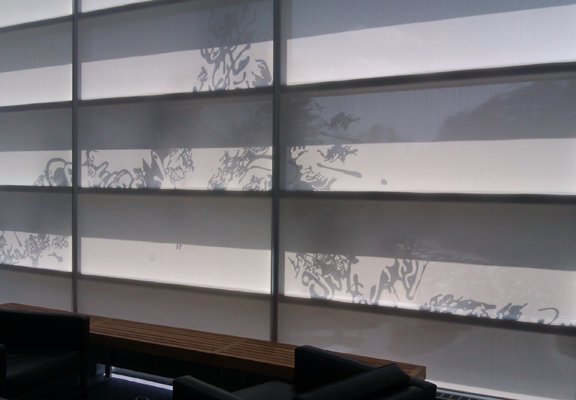 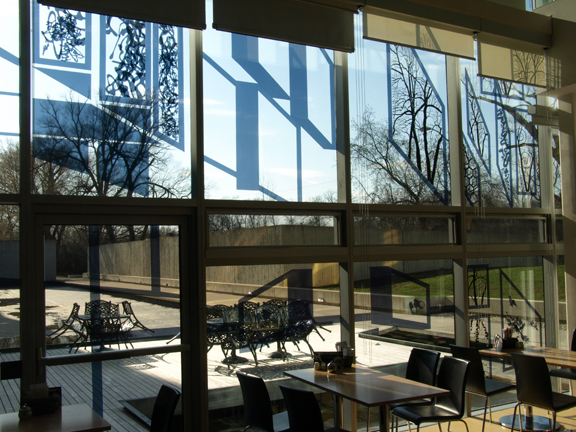 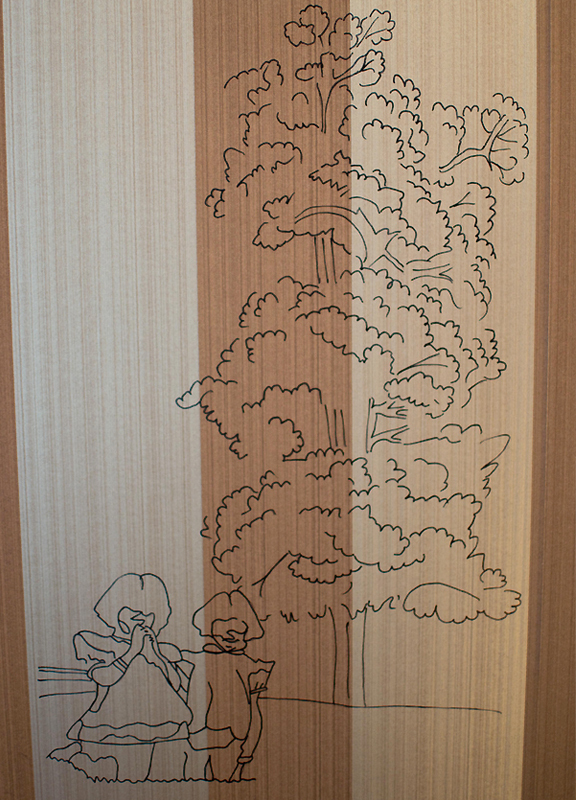 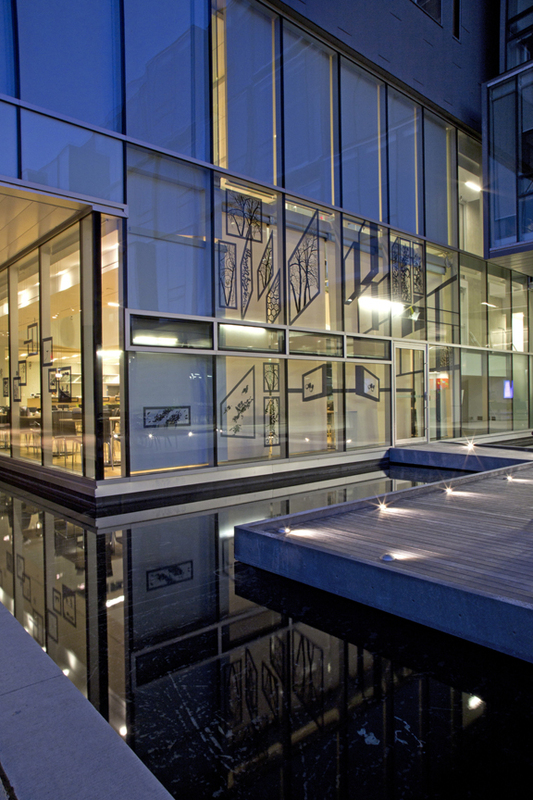 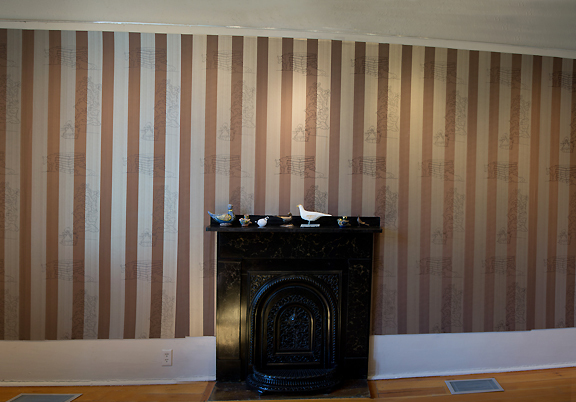 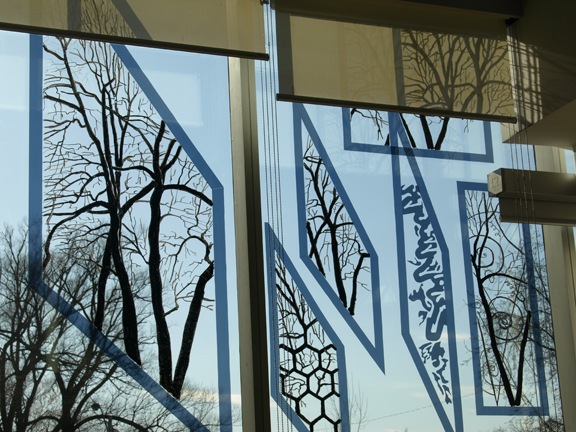 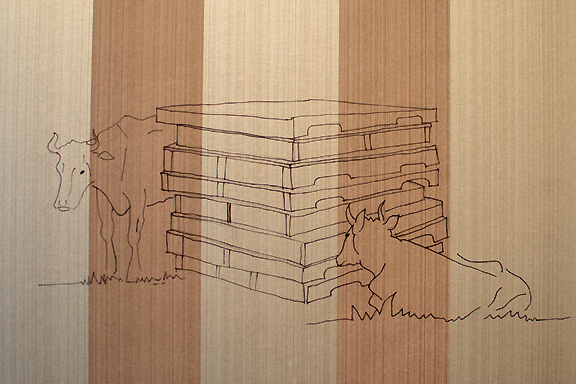 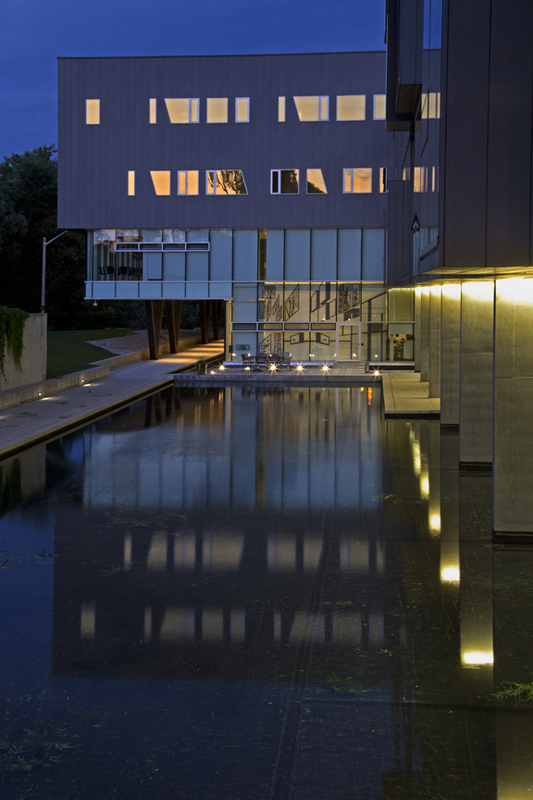 12/10/12 consists of hand-made wallpaper based on Homer Watson’s drawings and other source material, a collection of bird statues from various locations around the world including Waterloo Region and Iran, and altered Homer Watson prints. 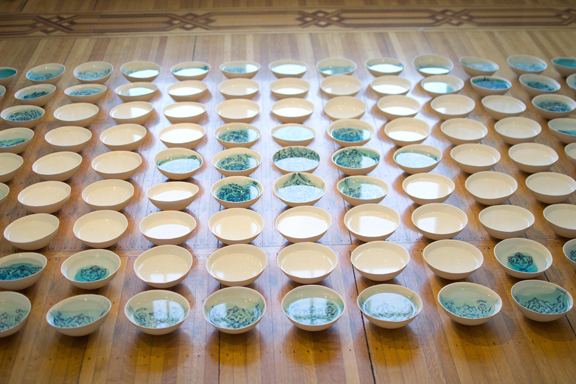 12/10/12 is centered on three key strategies: to embark on creative investigations of local history and culture, to interject ‘other’ cultural notions and histories within the familiar history of the house museum, and to create Third Space by opening up ‘new’ narratives within the context of local history.